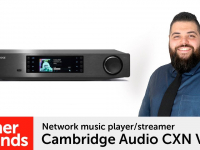 It’s been around five years since British brand Arcam released their previous range of amps and since coming under new ownership by Harman (a subsidiary of Samsung) last year, the company has released their latest series of hi-fi gear for enthusiasts to drool over. We managed to get a peek at the products at the Bristol Sound & Vision Show earlier this year. Two amplifiers – the SA10 and SA20 – and a CD player/streamer, the CDS50 were all on show at the Marriott Hotel but sadly they weren’t available to demo just yet. This has meant we’ve been chomping at the bit over the last few months to try them out and now they’re finally here. It’s the SA20 integrated amplifier that we’ll be taking a look at in this blog and fans of Arcam’s previous FMJ range will be pleased to hear that they’ve managed to keep the slimline form factor whilst updating the styling and inputs on the rear. 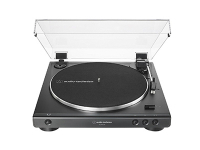 The five analogue connections (including a moving magnet phono stage) are now joined by two digital coaxial and one optical input which run through a 32-bit Sabre ESS9038K2M Digital to Analogue converter (DAC for short). As with the FMJA29 that the SA20 is replacing, Arcam’s Class-G amplification is used to produce 80 watts per channel and mixes the detail from Class-A and the efficiency of Class-B. Arcam amplifiers of the past have always excelled at build quality and tonal control but have sometimes been a little too smooth and relaxed in how they present their sound. We decided to connect up Monitor Audio Silver 300 floorstanders (a firm favourite at Richer Sounds Bristol) to the SA20 and see what their spacious delivery made of the amplifier. Starting off with a bit of streaming via Tidal from a Sonos:Connect seems like a pertinent way to test out the internal Sabre DAC. Blues guitarist Robert Cray and the track “(Won’t Be) Coming Home” is what we begin with and we’re treated to a pleasing balance and even presentation where the SA20 doesn’t feel too bright or too warm. There are hints of that familiar smoothness but it’s not enough to make the amp sound laid back and unexciting. The drums feel particularly chunky in the mid-range and the guitar solo is clear but not shrill, sitting above the rest of the ensemble without drowning them out. It’s the same story when we hook up a Cambridge Audio CXC CD transport and listen to Royal Blood’s “Loose Change”. Heft and weight are dished out in abundance as the British rockers crunch through the chunky riff and the SA20 obliges with plenty of muscle to match them. The SA20 pairs neatly with the CDS50 CD player/music streamer. It’s not all about power though and the Arcam is capable of showing its subtler side when given the opportunity. Listen to Josef Salvat’s cover of the Rihanna song “Diamonds” and the SA20 obliges with a natural and tender touch to the soft piano playing before soaring into an impressive dynamic reach when the chorus comes along. As you might have guessed by now, we’re very pleased with the new SA20. 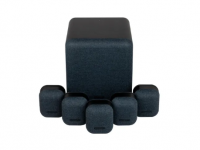 Sure, you may find that you need to match it with some speakers that are going to add some drive to proceedings but you’ll be rewarded with an engaging but controlled set up. 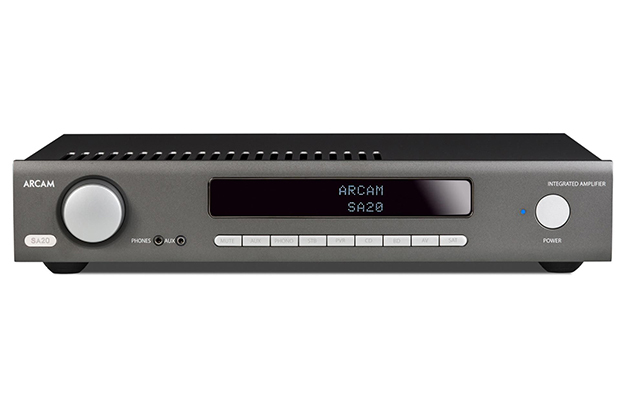 Staples of the Arcam sound such as a full bodied tonal balance, spaciousness and good separation are all present and correct but dynamic reach and excitement are also in the mix. This, combined with the addition of digital inputs and a phono stage, all adds up to a mid-range amp that not only ticks boxes on spec but also on performance and should be on everyone’s shortlist when looking for a new engine for their hi-fi system. Give your local Richer Sounds store a call and arrange to have a listen for yourself to see if it’s the perfect piece for your system. How is it with the kef ls50? Pairing the SA20 with those KEF speakers would likely make for a great sound, given the high calibre of both brands. That being said, we definitely recommend coming in to your local Richer Sounds (www.richersounds.com/storefinder) and let your ears be the judge of what speakers pair best.